Austin is the state capital city of Texas, famous for the State Capitol and the flagship campus of Texas University. With a population bordering on 1 million people, this rapidly growing city receives hordes of visitors each year. Home to an eclectic music and arts scene, the city is also popular for its natural attractions and historical landmarks. Cheap flights to Austin are now available for a limited time only, so book your flight today and get excited for the vibrant culture and intriguing landmarks of this lively city! Austin is home to Austin–Bergstrom International Airport (AUS), a 25-minute drive from the city centre. 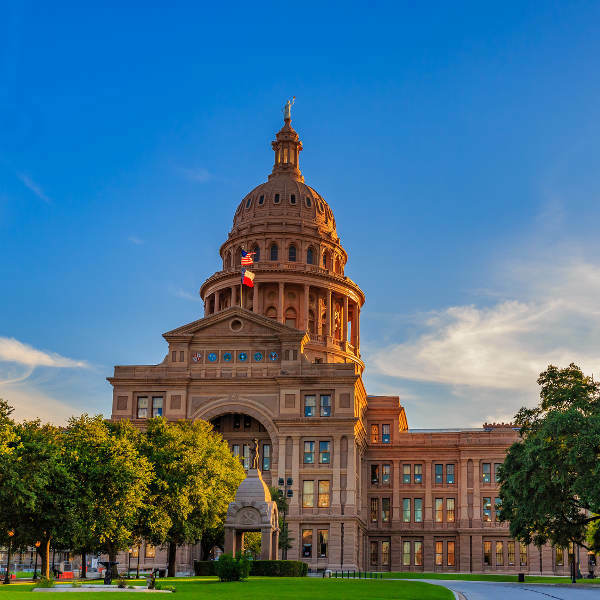 As an influential centre of politics, history and culture, Austin boasts a large collection of stately buildings, including the spectacular State Capitol. Other landmarks include The Driskill, Congress Avenue Bridge and the LBJ Presidential Library. The hip, upbeat art and music scene is both intoxicating and alluring. From amateur student productions to full-blown theatrical spectacles, you’ll be blown away by the jazzed-up music scene, performance shows and art displays around the city. Swap out the lively streets for a relaxing getaway around the lakes and forests. The peak of Mount Bonnel offers gorgeous vistas, while the Zilker Metropolitan Park is home to wild birdlife, recreational activities and Barton Springs Pool. Austin is a hub of excitement and activity all year round, so there is always something to see and experience! Visitors are active all through the year, particularly between March and May, when the highly-anticipated South by Southwest music festival takes place, along with Art City Austin festival and numerous film festivals. Autumn, between September and November, is also a favourable time to visit due to cooler temperatures and thrilling outdoor entertainment. Austin does not really experience an off-season, but if you can stand the heat, you may be able to find cheaper accommodation during July and early August. Crowds will definitely have dispersed, ready to come back in full swing when universities re-open in August. A motley mix of retro funk, tattoo-covered artists and dotcom millionaires – that’s Austin for you! With such a vast selection of activities at your fingertips, you can go swimming in limestone spring pools, kayak along the river and party to a different genre of live music every night. Culture and history buffs will be enthralled by the city’s architecture and heritage. The University of Texas makes for a great day out. While you’re sightseeing, check out the Blanton Museum of Art, LBJ Presidential Library and the Bullock State History Museum. The Texas State Capitol is not to be missed! The stately, granite Capitol is open to the public every day and you’ll love taking a stroll through the halls, perusing the artworks and, obviously, taking a peek into the legislative chambers. Segway tours are popular and are a great way to see downtown. 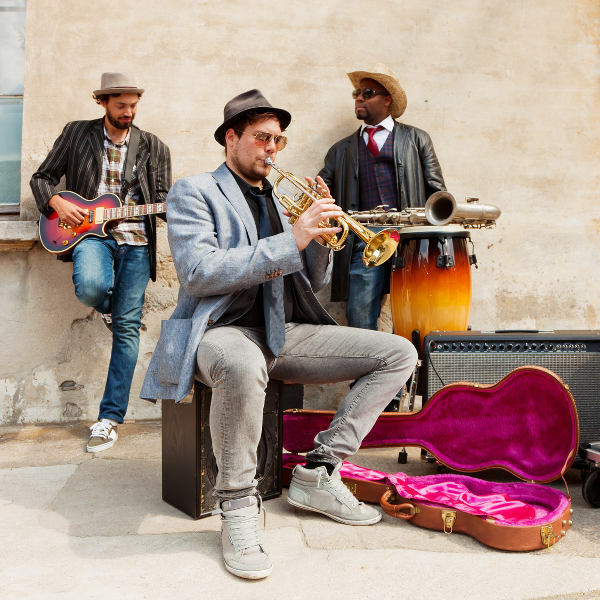 With a plethora of jazz clubs, blues bars and concert halls, it is no surprise that Austin is known as the “Live Music Capital of the World.” If you want to experience the bar and club scene, get to Sixth Street for a good variety of live music venues and electrifying nightlife. Escape the city frenzy and relax at Barton Springs Pool or take a walk through Zilker Metroplitan Park – a weekend retreat! 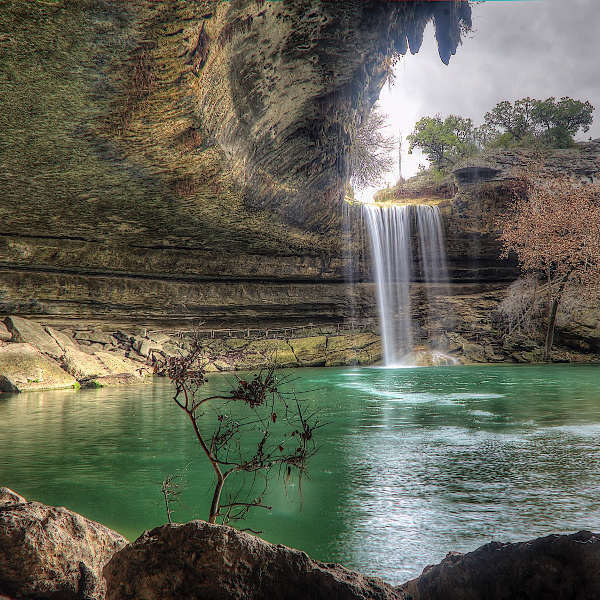 Compare several airlines and book your cheap flights to Austin online at Travelstart! Austin is a fairly safe city with no violent crime known to occur towards tourists or locals. As almost all bars and restaurants accept credit cards, there is no need to carry around large amounts of cash. There is a strong police presence throughout the city, so should you ever feel unsafe or require assistance, you can approach them at any time. The Red River district has some homeless shelters so you may see a large community of homeless people but they’re generally harmless. Coyote sightings have been reported near open parks, so be aware if you’re travelling with small children or pets. They won’t harm you if you make yourself bigger and louder than them.